Reading the title itself would have run a chill down your spine wondering how many of yours are going to make a list. Yes, we understand your puzzled face here. After all who saves money from the beginning of the career when the retirement is still 5-6 decades away, right? But a little goes a long way. Keeping a tiny amount out of your income for your retirement will also put you in the habit of spending only where it is necessary. This will enhance your quality of life. The budget plan you made in your junior executive level will not suffice when you reach a mid-level position. With the increasing income, you should also increase what you contribute towards your savings. After all, with the growing salary, your expenses are also increasing. It is vital that you keep a tab on your credit score. Your credit score will decide how much interest you will be able to take benefit of over the years, such as on purchase of cars, home, etc. But at the same time, you should not get obsessed with the credit score. As long as the score is within the normal market range, you are fine and if it isn’t you can always hire a financial adviser to get it sorted. Yes, 20s are a bit too early to think about it, but you should have a backup plan by the time you are nearing late 30’s. Up until 30’s you are making a foundation for yourself but in your late 30’s you should always be financially ready for emergencies. Having a backup plan such as health insurance, disability insurance can help you cope up with the medical expenditure and also help you sustain financially if you are no longer in a condition to work. 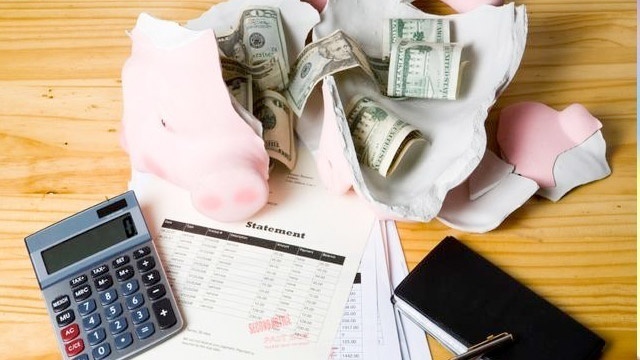 So the coming financial year, make it a point not to make these financial mistakes. We understand that keeping a tab on every minuscule aspect of your finances while simultaneously managing the business can be strenuous, but a proficient financial adviser by your side can help mitigate this stress. But keep in mind that not every financial adviser you will meet is going to strategize your finances per your suitability but their conniving interests. Which is why we recommend you consult a financial expert like Donald Malter to efficiently manage your finances so that you can attain your business goal with cost-effective means.